When Jackie DeVita was diagnosed with cancer and given a few months to live, her top priority was making sure her three children were taken care of after she passed away. Her solution was awesome, at least for her husband, Richard. She wanted him to marry her little sister, Colleen, who was the only person she trusted to take care of the kids. Three months after Jackie died, Richard and Colleen were married. Dude didn’t even have to put any work in, now he gets sisters plus somebody to help around the house. Who needs Uncle Jesse? Sure, Jackie could have simply asked her sis to keep an eye on the kids when she was gone but it’s all good, they’re from the South. 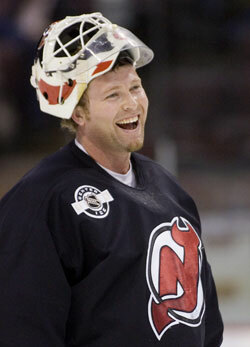 Somewhere, Marty Brodeur is smiling.